Laila Lalami is the author of the short story collection Hope and Other Dangerous Pursuits, which was a finalist for the Oregon Book Award, and the novel Secret Son, which was on the Orange Prize long list. Her essays and opinion pieces have appeared in the Los Angeles Times, The Washington Post, The Nation, The Guardian, and The New York Times, and in many anthologies. She is the recipient of a British Council Fellowship, a Fulbright Fellowship, and a Lannan Residency Fellowship and is an associate professor of creative writing at the University of California at Riverside. She lives in Los Angeles. “Laila Lalami’s radiant, arrestingly vivid prose instantly draws us into the world of the first black slave in the New World whose name we know—Estebanico. 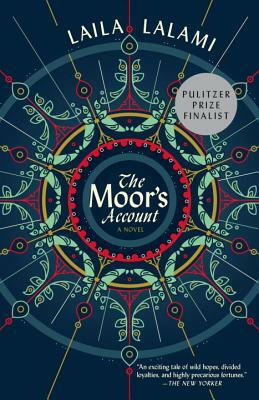 A bravura performance of imagination and empathy, The Moor’s Account reverberates long after the final page.” —Henry Louis Gates, Jr.